By buying this product you can collect up to 5 loyalty points. Your cart will total 5 points that can be converted into a voucher of CHF 1,00. 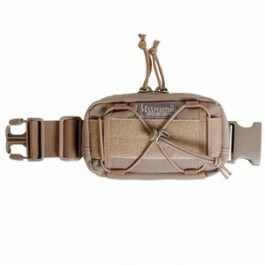 This accessory pocket splices into 2 inch straps using side release buckles. An adjustable and removable strap allows user to decide which side should face forward and whether the opening points to the left or right. 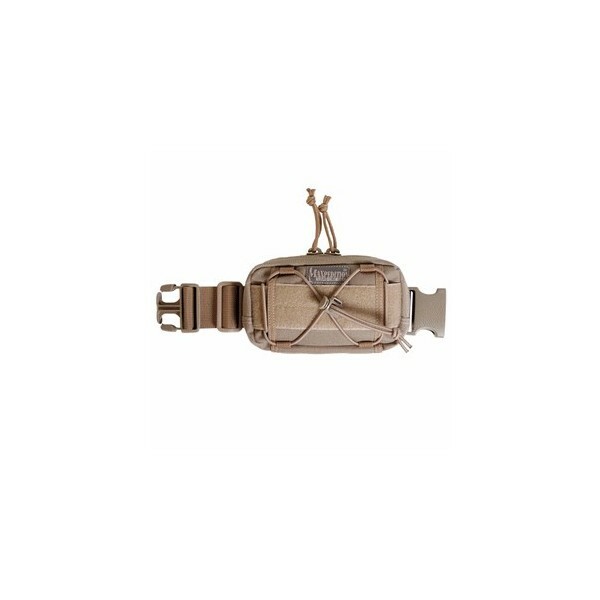 The Janus splices into 2" shoulder straps or waist straps using compatible quick release buckle components, providing additional storage for most customers or elongating a fully extended shoulder/waist strap for larger folks. The extension strap can also be completely removed and used independently of the pouch. The pouch too can be used independently by modular attachment to PALS webbing using a pair of 5" TacTie® Attachment Straps (also with either side facing outwards, opening left or right). **Please note that Janus Extension Pocket buckles are compatible with the 2" Duraflex® Stealth® Warrior buckles. Please check your pack to make sure you have this type of buckle. Extension strap range: max 13", min 8"